UNTIL LAST YEAR, 17-YEAR-OLD VICTORIA MILLER ADMITS SHE WOULD HAVE HAD TO SEARCH ONLINE TO LEARN WHERE ALGERIA IS, LET ALONE DESCRIBE THE EXPLOITS OF ONE OF ITS MOST FAMOUS HEROES. Abd el-Kader's name lives on in Elkader, Iowa, pop. 1,300, the only US town named after an Arab. “I was really taken by Amir Abd el-Kader’s character and how he handled the multiple challenges he faced, including when some of his own people didn’t believe in him,” says Miller, who lives in the northeastern Iowa town of Decorah. On September 19 she was recognized as one of seven winning essayists in the 2016 Abdelkader Global Leadership Prize. 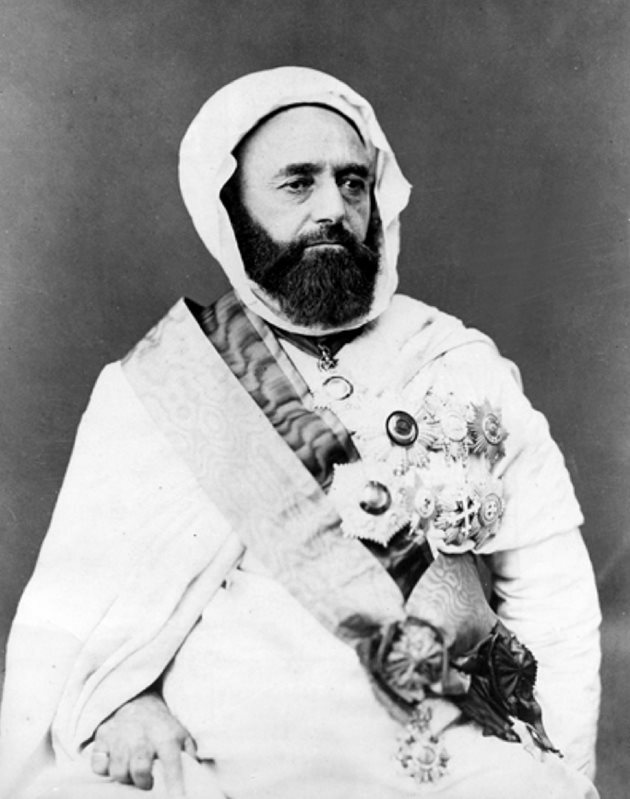 After reading diplomat John W. Kiser’s biography, Commander of the Faithful: The Life and Times of Emir Abd el-Kader (Monkﬁsh, 2008), for a class in human geography at Decorah High School, Miller now says she regards him as an international role model. Her new understandings, she adds, help her feel more comfortable talking to Muslims. 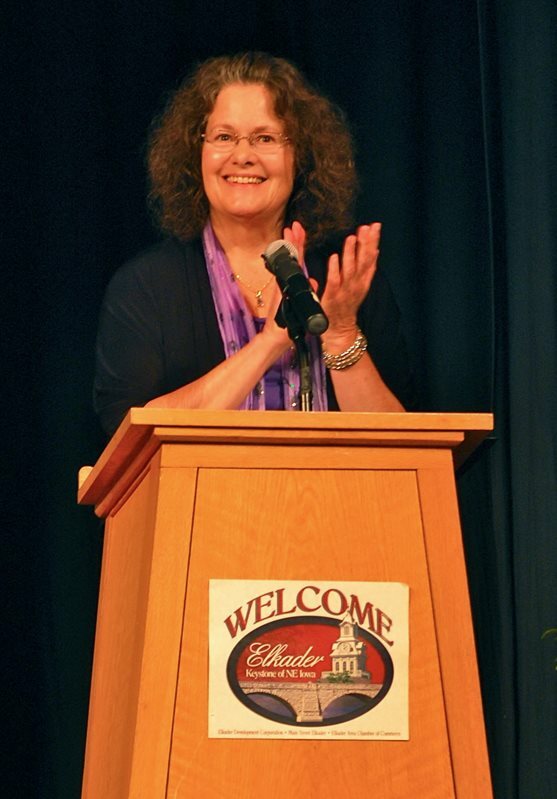 Abdelkader Education Project co-founder and executive director Kathy Garms opened the group’s seventh annual forum on September 19 in Cedar Rapids. Students competed for scholar-ships in the Abdelkader Global Leadership Prize, and educators explored the legacy of Algerian freedom fighter and peacemaker Amir (Prince) Abd el-Kader. Even decades earlier, in 1846, so widely admired was he that Iowa farmers named their new town after him, and today Elkader, Iowa, is the only us town named for an Arab. Since 2008 it has been reviving his legacy, thanks largely to the eight-year-old nonproﬁt Abdelkader Education Project (aep). Kathy Garms, executive director and cofounder with Kiser of the Elkader-based aep, furthers Miller’s sentiment, explaining that the story of the amir “inspires civility, tolerance and understanding” and offers “models of ethical leadership, moral courage and humanitarian conduct.” The aep, Garms continues, works to “shape the minds, hearts, values of the next generation.” And this is where aep’s Abdelkader Global Leadership Prize essay competition comes in. John W. Kiser, author of Commander of the Faithful: The Life and Times of Emir Abd el-Kader, and forum participant said the students stereotypes have been challenged. Its award ceremony was held this year about 130 kilometers south of Elkader in Cedar Rapids, where it was nearly cancelled due to rising ﬂoodwaters on the Cedar River. But the student writers and their families braved the threats of high water to meet Kiser as well as teachers and leaders of civil-society groups from around the country. Kiser says he is pleased with the results so far. Garms afﬁrms the broadening of students’ horizons. “We started this with an essay contest for students, but we’d like to expand our programs and create additional tools to reach a wider audience of police, military and businesses to promote better intercultural understanding,” she says. 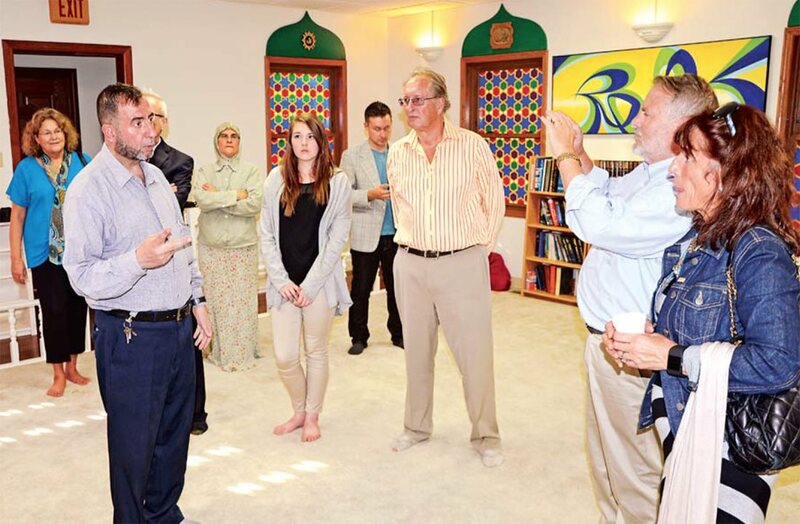 After the awards program, the winners and family members toured the Cedar Rapids Islamic Center and visited one of the city’s historic sites: the oldest standing mosque in the United States, built in 1934. “ABD EL-KADER’S LEGACY DESERVES TO BE REMEMBERED ALONG WITH NELSON MANDELA , GANDHI AND DR. MARTIN LUTHER KING JR.’S BECAUSE THEY WERE ALL PURSUING THE SAME DREAM: TO REACH PEACE." Elkader Mayor Josh Pope hopes the aep inspires young people “to carry on the values of the amir.” In addition to hosting the aep, Elkader is a sister city to Mascara, in northwestern Algeria, where Abd el-Kader was born in 1808. Today Mascara’s population of 150,000 dwarfs Elkader’s 1,300 residents. “Abd el-Kader serves as a great example about how people of different cultures can live together in peace and understanding,” he says. In early September Pope traveled at the invitation of the Algerian government to speak at its own Emir Abd el-Kader Award ceremony, which recognized organizations in the Mediterranean region for work in economic cooperation and interfaith relations. The interfaith aspect of Abd el-Kader’s life impresses Miller deeply. “I’m a Christian, and I’ve had my own difﬁculties—though certainly on a different level—but I know it’s important to stay positive and hopeful,” she says. Now, she wants to add study of comparative religions and “the psychology of how we learn and react to stereotypes” to her aspirations for a career in medicine. “Victoria grew a lot in the process of reading about el-Kader and writing her essay,” says Miller’s mother, Yvette Powers, noting diplomatically that her daughter was not always supported by some members of her extended family. Brian Miller, Victoria’s father, says he and his daughter talked about the life of Abd el-Kader when she was writing her essay. 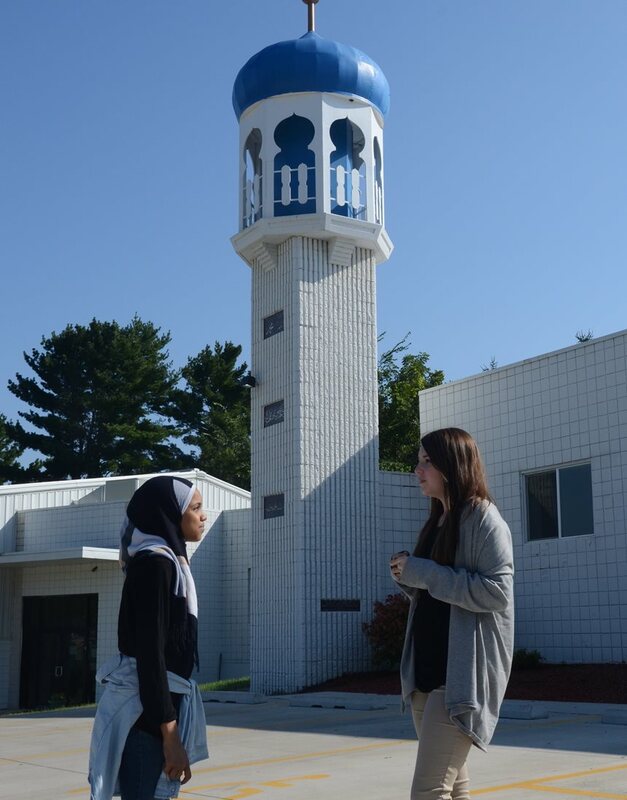 Forum attendees received a tour of the “Mother Mosque of America,” built in 1934 in Cedar Rapids, Iowa, by immigrants from what is now Syria and Lebanon. Although not the first mosque built in the US, it is the oldest standing mosque; its proximity to Elkader, 130 kilometers away, is coincidental. National high school division winner Daud Shad lives far from Iowa, more than 1,600 kilometers east, in New Jersey. He says his elder brother encouraged him to read Kiser’s biography and enter the contest. 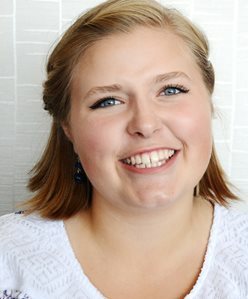 Samantha Wiedner, 18, grew up in Elkader, and she won the high school competition for her town. “I knew Elkader was named after the emir, and I knew where Algeria was, but that was about it,” says Wiedner, now a freshman studying Russian and international relations at the University of Iowa. Noureen Choudhary, 20 and a student at Villanova University, learned about the essay contest from her mother, who was born in Algeria. “I first heard the name Abd el-Kader in a song popularized by Algerian musicians Khaled, Faudel and Rachid Taha,” says Choudhary, who was born and raised in Philadelphia. Though she was only four, she says the memorable tune and appealing lyrics made her wonder who it was about. 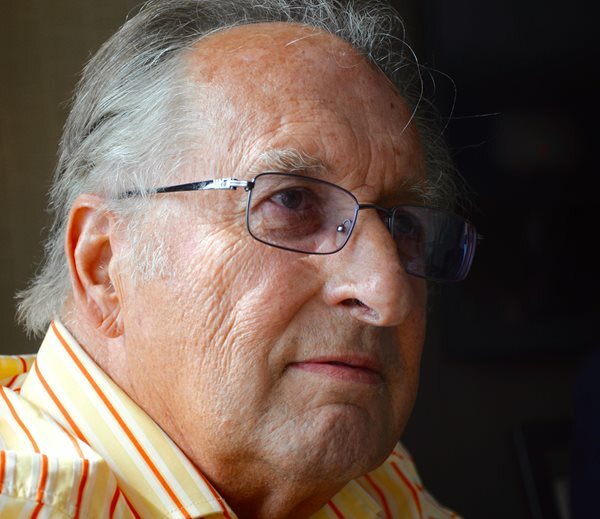 Choudhary initially thought Abd el-Kader was “too obscure for Westerners to know about.” She was stunned to learn that a small town in Iowa was named for him, and that there is a group devoted to the study and promotion of his life and work. Brian E. Clark is a Wisconsin-based writer-photographer and Milwaukee Sentinal Journal columnist who contributes to publications including The Los Angeles Times.